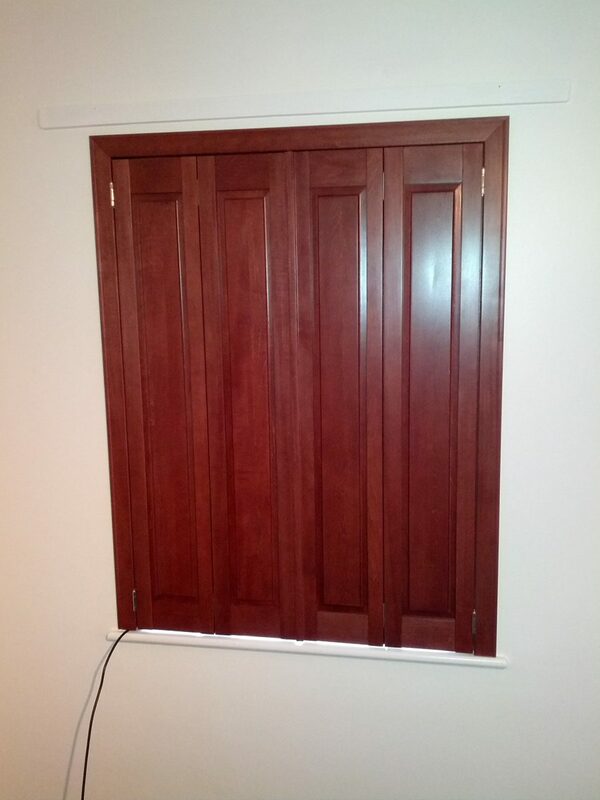 Enhance your home with solid panel shutters. The traditional look of solid panels are still very much in demand for homes. 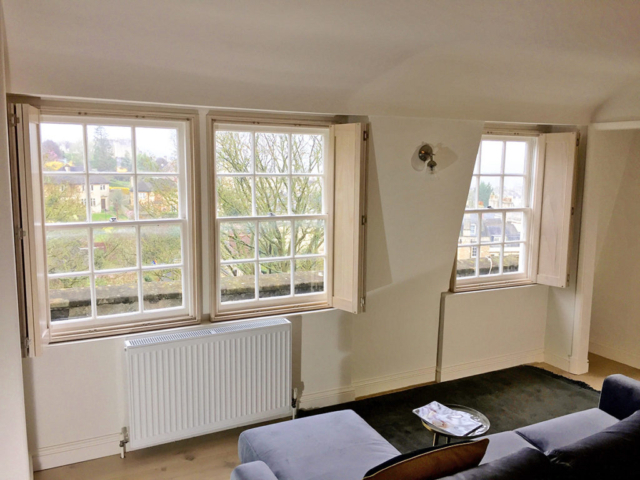 Perfectly enhancing any period home, and often used in Tier-on-Tier form, solid panels provide near blackout when closed and enhanced insulation for your windows. 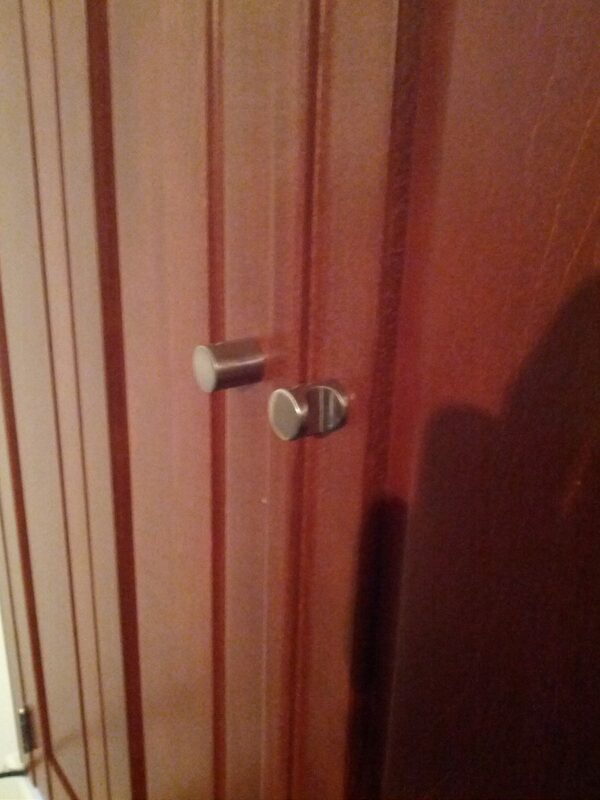 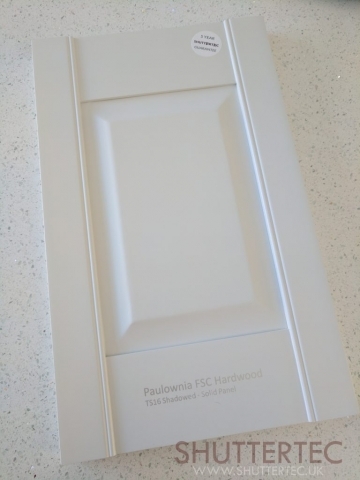 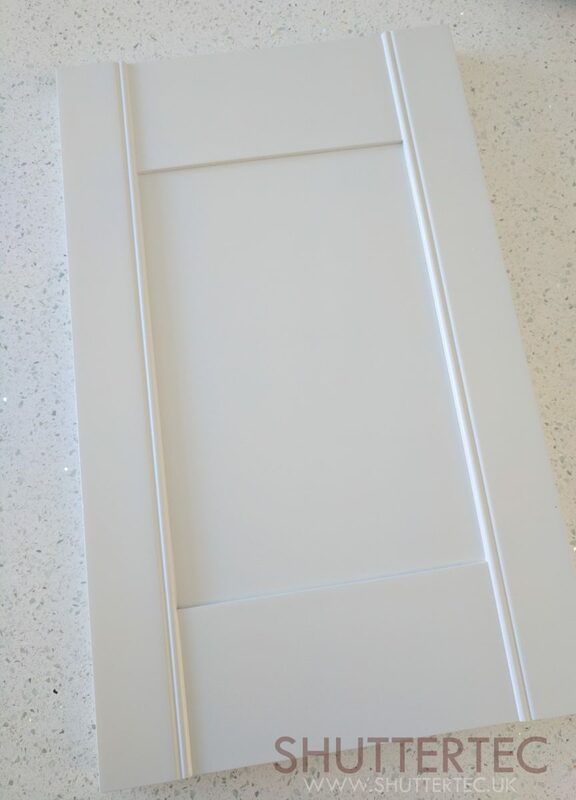 Now updated, the solid panels can even be mixed with louvres to give that half and half effect on doors. 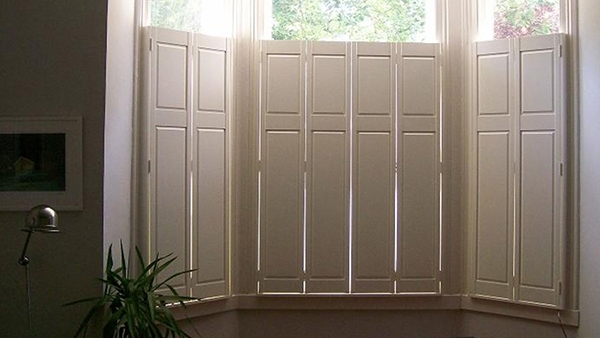 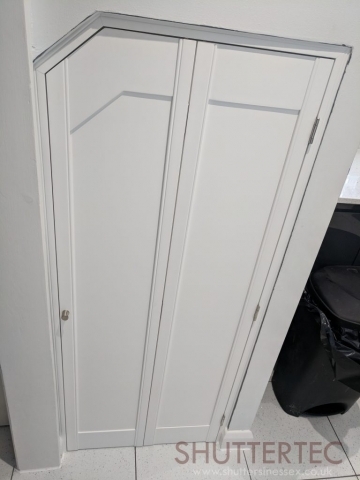 Given some imagination, solid panel shutters could be fixed into a track system and used as room dividers or even wardrobe doors to match your window shutters. 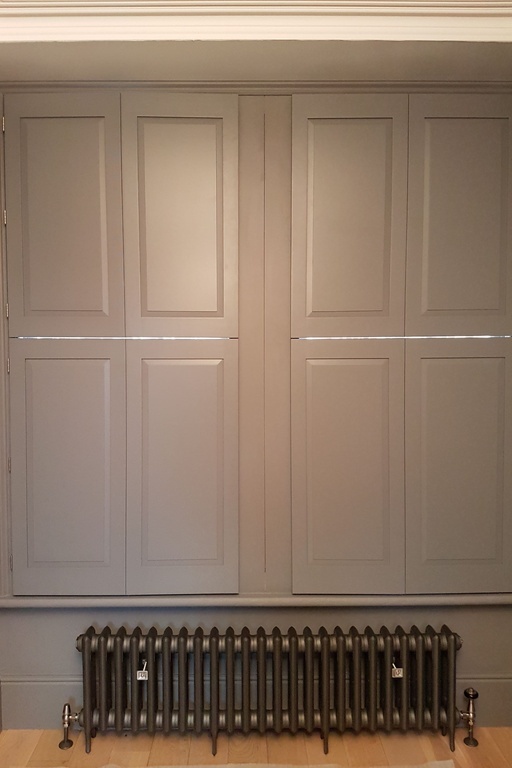 Examples of solid panel shutters we have previously installed.